The Web Log Home of Tyler J. Elliott: Copen-hangin'. Hey y'all. I accidentally a 5-hour nap on Sunday, so to counteract that and massive ongoing jetlag, I stayed up all night reading Kurt Vonnegut's last book and listening to Danish radio. Man do they love their smooth jazz. Anyways, due to this, I have not slept in 28.5 hours. Why am I writing now? Not sure, I'm frickin' exhausted. It's 8:45pm and I'm already turning in for the night. But I love you, dear reader, and you're reading this for a reason, no? They're playing Yellow Submarine; Hey Bulldog would have been so much cooler. I ended up getting very lost in the city with some new friends from Colorado College. We went to a quaint little café where I got a chai latte and pain au chocolat. It was really great finally meeting some native English speakers, something I had not experienced since 2.5 days ago in London. It was really lonely knowing I was on an entirely new continent where I literally knew only one other person (sup Colin) for that period. After exchanging $25.00 for 110 Krones, I spent an hour looking for a bus that would take me home. I ended up getting off at the wrong stop because it was dark and I'm American. That set me back another 25 minutes making me 40 minutes late for 6 o'clock dinner. Upon returning home I had my first meaningful experiences with my host family. We ordered pizza (they eat it with a fork and knife, and popular toppings include kielbasa, chili pepper, and hotdog) and watched the Denmark vs. Germany handball game, which is a very popular sport here. (I want to take this time to mention that when I wasn't sleeping last night I was watching the NFL playoffs with Danish commentators, which was great because of how excited they got over every play that went more than 7 yards). 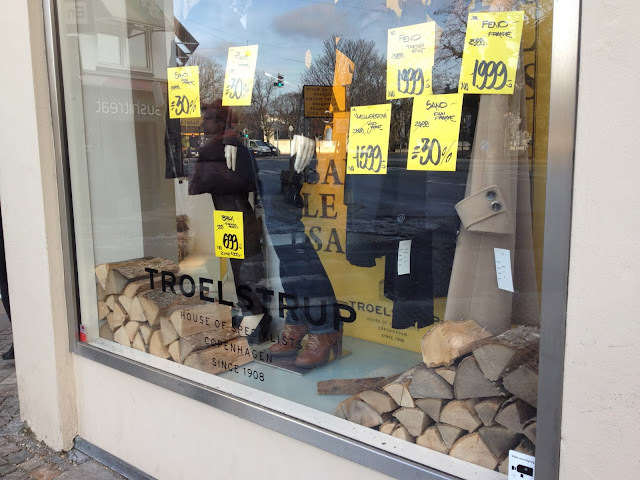 Here is the clothing store "Troelstrup" attempting to sell jeans by using firewood. Now I am tired and will sleep after what is now 29 hours. Goodnight from GMT+1. Over and out. I really enjoyed your use of internet meme in your second sentence and i often eat my pizza with a fork and knife. In fact i often see John and Terry do it too. Maybe my family is secretly danish, who knows? It seems your having a jolly old time, and I'm looking forward to hearing more from you and your journey towards truth. 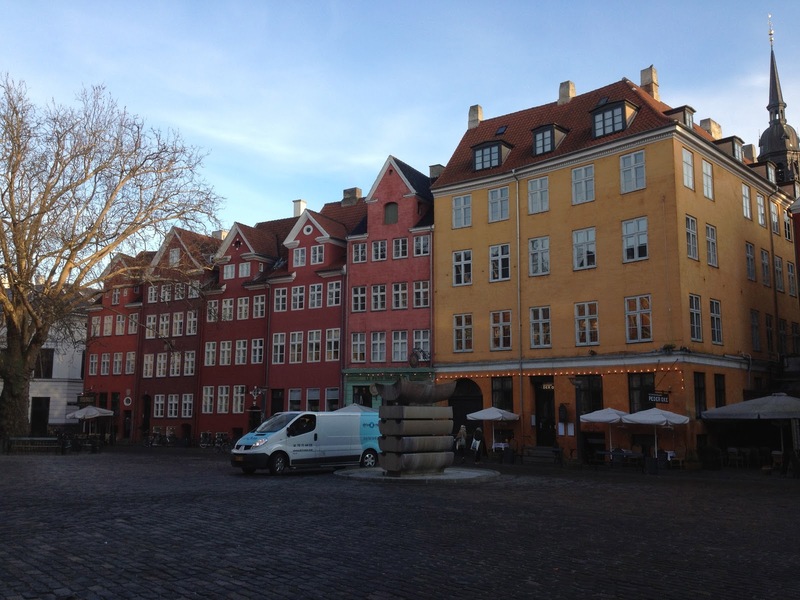 It is like Denmark is the new home of 107.3 The Waaaaa-eh-aaave!